Happy Easter from us here at the Delightful Tea Bake School. Easter holidays are looming, if you are lucky enough to be going on holiday we wish you a good break. If you are at home with the kids, then we are here to help. 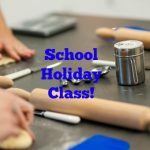 During the Easter break we have the following Adult & Child School Holiday Classes available for you and the kids to enjoy together. All the fun of baking, without the clearing up, what more could you ask for, and the kids learn something too. 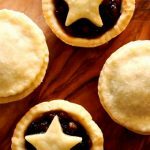 Please look at our Baking Courses tab for further details. Some of our courses in April are getting full so please don’t delay if you are interested. We still have spaces on the French Pastries and Perfect Teatime Treat classes at the moment. Happy Easter & Happy Baking.